Definition at line 82 of file counters.c. Definition at line 88 of file counters.c. Definition at line 90 of file counters.c. 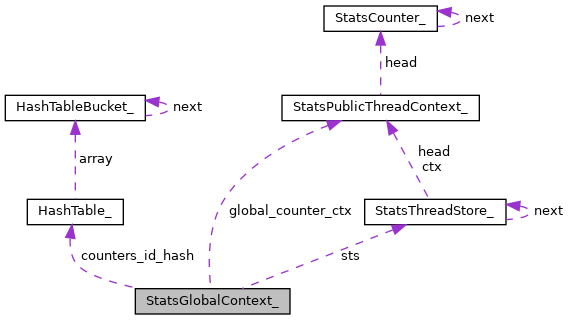 Referenced by StatsInit(), StatsRegisterGlobalCounter(), and StatsSetUI64(). Definition at line 84 of file counters.c. Definition at line 86 of file counters.c. Definition at line 85 of file counters.c.